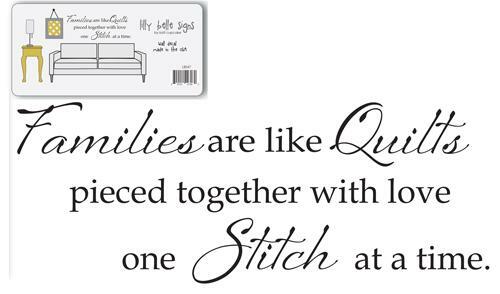 Let everyone know you're addicted to quilting with this great wall decal. Step by step instructions for correct application included. Approx size 6 12" x 16"